Saab Setups New Facility in Sao Paulo Brazil. A Saab aerostructures plant, currently under construction in Brazil to support the production of Gripen fighter aircraft, will also expand the capacity of Saab's global supply chain, according to the Swedish manufacturer on May 9. The company is now installing the 5,000 square meter office operated by Saab Aeronáutica Montagens (SAM), in São Bernardo do Campo, a suburb of São Paulo, says Marcelo Lima, general manager of SAM. The ownership of SAM will be controlled by Saab with a 90% stake. Akaer, an engineering services company founded by former Embraer engineers based in Sao Jose dos Campos, owns 10% of SAM. 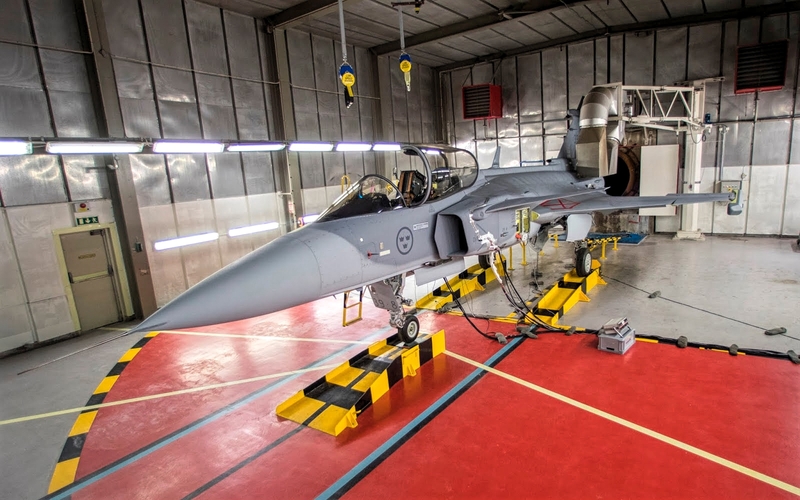 Saab founded SAM to build six major structural components for the Gripen fighter of the Brazilian air force. The components are the tail cone, the aerodynamic brakes, the wing box and the front fuselage for the versions of a seat and two seats of the Gripen. SAM will also produce the rear fuselage for the single seat version.